Jesu (English pronunciation: /je?-s? :/ yay-sue) is a band formed in 2003 in Abergele, Wales, United Kingdom by Justin Karl Broadrick following the breakup of Godflesh. 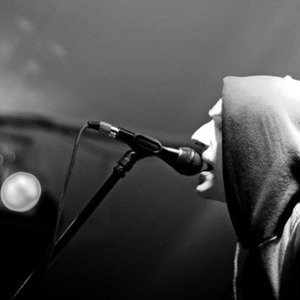 Jesu was the name of the last song on the final Godflesh release, Hymns, and Broadrick decided to adopt it as the name of his new project. The first release, the Heart Ache EP, was released in 2004 and featured Broadrick playing all of the instruments. The first release, the Heart Ache EP, was released in 2004 and featured Broadrick playing all of the instruments. It was followed in 2005 by the full-length self-titled LP, which featured the addition of bassist Diarmuid Dalton and drummer Ted Parsons, although not every song featured both new members. With their third release, 2006's four song Silver EP, jesu took a more melodic and layered approach, gaining comparison to shoegazing band My Bloody Valentine. Their second full-length album, titled Conqueror, was released in February 2007 in the US, UK, in Europe and Japan. The Japanese edition also contained a bonus disc featuring the two tracks that constitute the 'Sun Down'/'Sun Rise' EP, released elsewhere as a 12" album on April 23. The band made their United States live debut, in March of 2007, as an opening act for Isis, although work permit problems caused them to miss the first three weeks of the tour. Neither Ted Parsons nor Diarmuid Dalton were able to participate in the tour and were temporarily replaced by Danny Walker, of Intronaut, and long time Broadrick collaborator, Dave Cochrane, respectively. During this tour, jesu also made its South by Southwest debut as part of a Hydra Head showcase. 'Pale Sketches', a collection of older solo works from 2000-2007 was released in October 2007 on Justin Broadrick's own label, Avalanche along with a new four song EP entitled Lifeline, released by Hydra Head in the United States and Daymare in Japan. Broadrick has also contributed remixes of songs, using the jesu name, for Agoraphobic Nosebleed and Explosions in the Sky. Future releases include split 12" albums with both Eluvium and Battle of Mice.